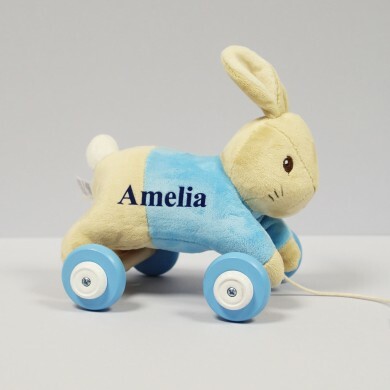 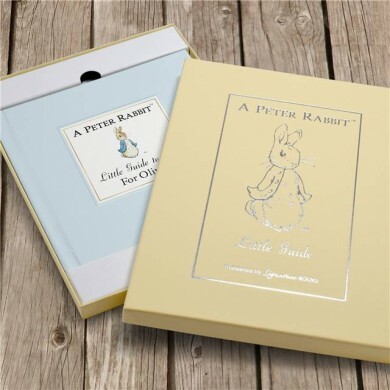 This Peter Rabbit plush toy is set upon wooden wheels with a pull along cord. 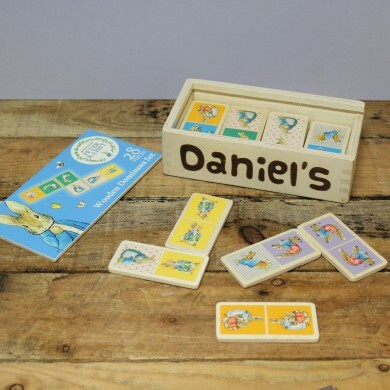 Personalise with your choice of name to be embroidered along the body of the toy. 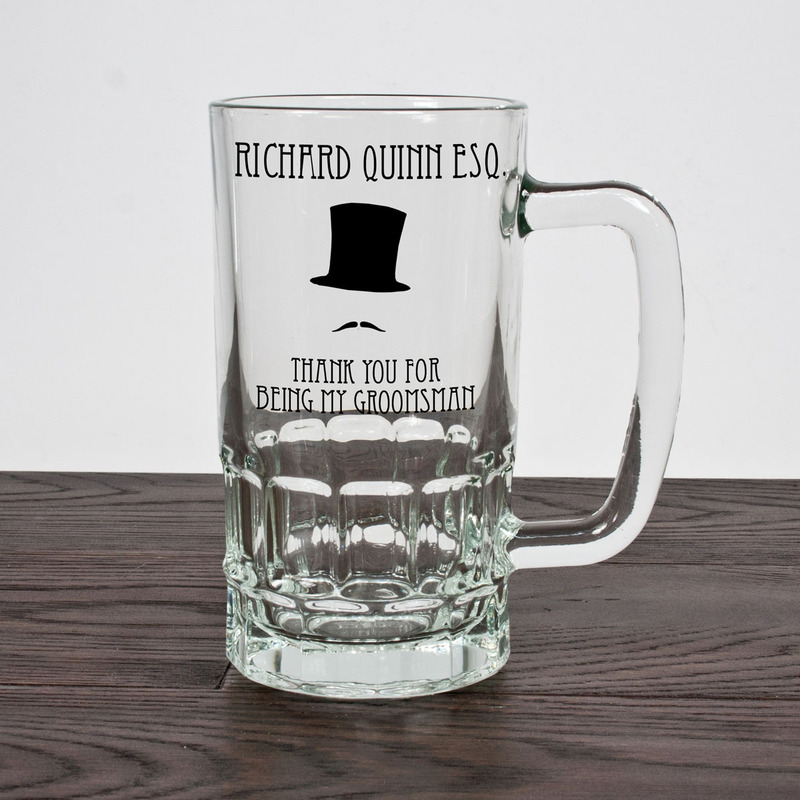 Dimensions H:15 W:19 D:10 cm.